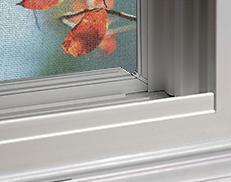 The Okna series 500 also called the Insul-Tech is one of Okna windows premium window products. 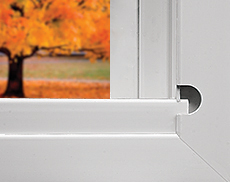 Some of the feature that make the Okna series 500 so good are it's fusion welded main frame and unique exterior beveled profiles making the Insul-tech one of the most attractive windows on the market today. You will love the look and the warmth that this product will bring to your home, as well as the energy savings and easy maintenance. 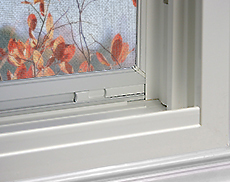 This is why Suburban Windows carries the Okna series 500 as one of it's quality windows products. Includes our high performance Low E and Argon insulated glass and Foam Filled Insulated Frames and Sashes. Welded construction and beveled exterior frame..
Clima-Guard Glass with Argon Gas for a low .26 U Value and our warn edge Heat Seal Spacer system. 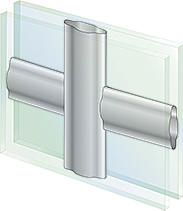 Triple weather stripping are added to all the sash for superior air infiltration ratings. 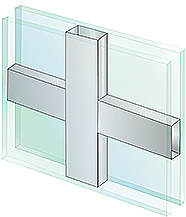 Low air infiltration ratings of 0.02, Out performing windows like the Harvey, Alside, Anderson, Pella, Champion or Castle Windows in thermal efficiency air infiltration and structural load. Full 3¾" Depth Welded Mainframe with beveled colonial exterior features curves that are not only beautiful, but also allow for maximum weld surface resulting in strength and years of long lasting performance. 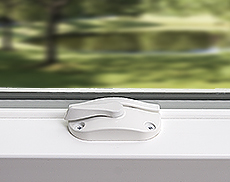 Standard Sash lock with tamper-proof cam ensures a much smoother turn, and increases the life cycle over traditional locks. 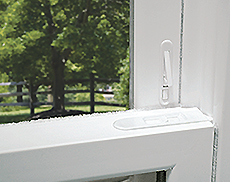 OKNA Windows Auto-Lock features an exclusive automatic locking system which is easy to engage. All colors except Euro-White are available at an additional charge. Printed colors may not match the product's actual color. 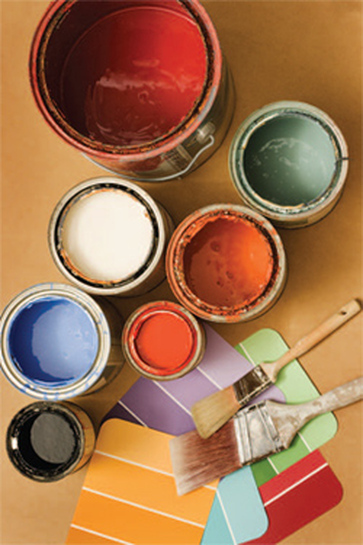 Please visit a local dealer to view actual color samples. 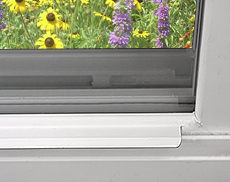 Water Penetration mph - Specifies wind load pressure in mph a window can withstand	without leaking, under rain equivalent to 8" per hour. Structural Integrity mph - Wind load in mph a window can withstand before breaking. Our company offers factory-installed half screen with heavy-duty handle. Screens are removable from the inside for convenient storage. Our company offers ThruVision® Screen standard on the 500 Series to improve the view through the window while protecting the interior from insects and allowing proper ventilation.